Here are the top hotels for your Angel Fire ski trip! 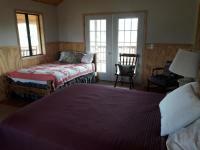 A mile from the slopes at Angel Fire Resort, this laid-back lodge with mountain views is 3 miles from Highway 64. The guest rooms come with TVs (some flat-screen) and minifridges. Upgraded rooms add balconies with views of the mountains and ski slopes. The 2-bedroom suites add living rooms with sofas, dining tables and microwaves. Horseback riding, and sleigh and carriage rides are available. 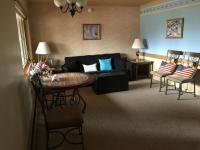 Condo resort in Angel Fire near the popular ski slopes. Condos feature a fireplace, kitchen, and free parking. Set 2 miles from the visitor center for Eagle Nest Lake State Park, this Angel Fire lodge is 7 miles from Cimarron Canyon State Park and 8 miles from Baldy Mountain. Guest rooms offer flat-screen TVs with satellite channels and free Wi-Fi, plus coffeemakers and minifridges; apartments add kitchenettes. Cabins have kitchens and porches facing the lake. 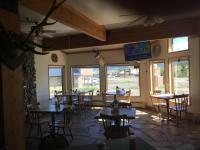 A laid-back restaurant serves New Mexican and Southwest cuisine, and a saloon dates to 1898. There are picnic areas and a courtyard with a grill.